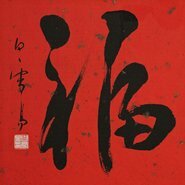 Discover the ancient art of Chinese calligraphy from a modern master Xueyi Bai. In this workshop, Xueyi will demonstrate a variety of styles, giving you a fundamental introduction to traditional brushwork. You will learn the traditional methods of holding the brush and how to control ink flow on special rice paper. From there, you’ll practice some strokes and learn to write simple Chinese characters.